My first favorite is the Fresh Rose Face Mask. I’ll admit that I’m not the biggest fan of the smell of this mask, surprisingly, but the results when the mask is removed make it worth it. The greatest benefit of this mask is how hydrating it is. Whenever my skin is dry, I use this mask and afterward it is immediately more hydrated and radiant looking. Plus, the mask is good for all skin types!! Another favorite from Fresh that I discovered in 2017 is the Brown Sugar Body Polish. While this isn’t actually a skin care product, I had to throw it in here because it’s that good! This product is definitely on the more expensive side, but SO worth it. Not only does it smell heavenly, but it leaves your skin feeling soft and smooth. I could go on and on, but I’ll just say that it’s worth the hype! Third is the Dermalogica Soothing Eye Make-Up Remover. I’ve always been a fan of makeup wipes, but I really love this product as a gentler alternative to removing my eye makeup. Let me tell you, this product is SO good at removing mascara – which is where many other products are lacking – and it’s oil free! Also, it doesn’t really have a scent to it, which is something I love. Last year I also loved the Dermalogica Ultracalming Mist. I find that this product feels so good on my skin. It’s light weight, refreshing, and helps calm redness! This product! LOVE! In 2017, I had the opportunity to work with Fresh on a blog post and as a result, I tried many of the brand’s products for the first time. 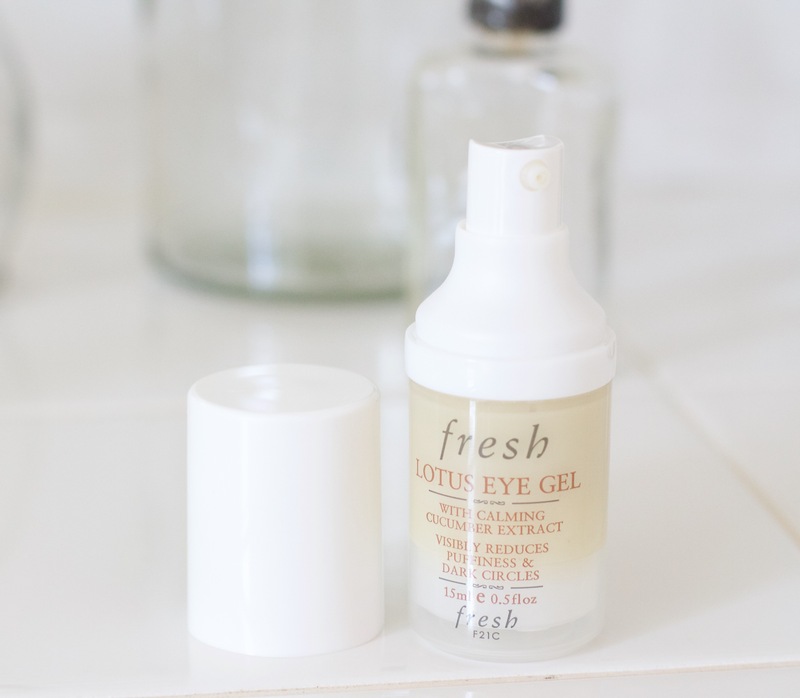 While I cannot say enough good things about this brand, one of my favorite products is the Lotus Eye Gel. I use it every morning in my under-eye area after cleansing my face. For me, it reduces my dark circles and makes me look more awake. It’s also important to mention that my makeup glides on seamlessly on top of it. I always like to make sure that face products I use in the morning work well with my makeup! Yet another favorite! I used the Tula Exfoliating Treatment Mask both in 2016 and in 2017 and it is one of the BEST face masks out there. After taking it off, my skin always feels refreshed and tight. Who doesn’t love a mask that’s tightening?! Oh and did I mention that it leaves the skin with a beautiful glow! Also, I have to note that a little goes a long way! This container will last you a long time. 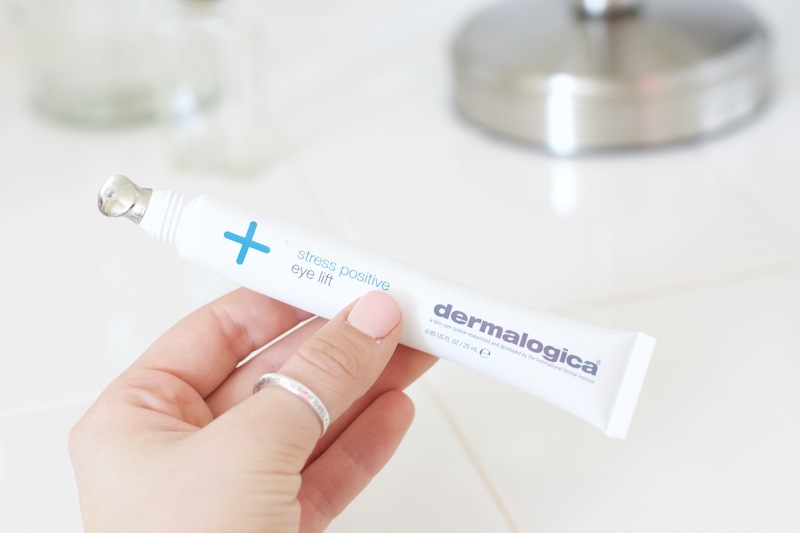 While I am loving the Fresh Lotus Eye Gel, another eye product that I tried in 2017 was the Dermalogica Stress Positive Eye Lift. My mom actually discovered this product and like her, I love it! The metal tip applicator soothes my under-eye area, reducing puffiness and making me look more awake while it delivers a cooling gel cream that minimizes visible signs of stress. While it’s more on the expensive side, I cannot say enough about this product. The last product I loved this past year was the Tula Purifying Face Cleanser. This product leaves the face super clean and feeling refreshed. Furthermore, it isn’t drying and a little goes a long way! I hope you enjoyed this post! It’s a little out of the norm from what I usually share on the blog, but I’m planning to share a lot more beauty content this year. Let me know what you want to see more of! More on skincare & makeup please!!! !